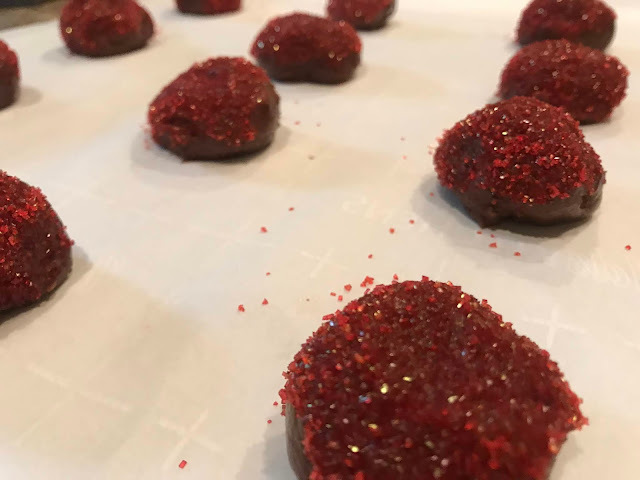 We recently posted our Valentine's Day Gift Guide, but I wanted to follow up to share more details about our Marley Spoon package that arrived this week because we had a family-friendly experience that stood out. As I mentioned earlier this week, we spend Valentine's evening together as a family. I have happy Valentine's Day memories from my own childhood and hope that my children will have happy memories too. My sister and I would decorate boxes to take to school for Valentine exchanges. We would come how and read all of our cards. Our parents would also buy us a heart shaped box of chocolate which was a big deal as a little girl. I am reminded of these memories every year on Valentine's Day. Similarly, I like to make sure that my own children have happy memories of Valentine's Day too. 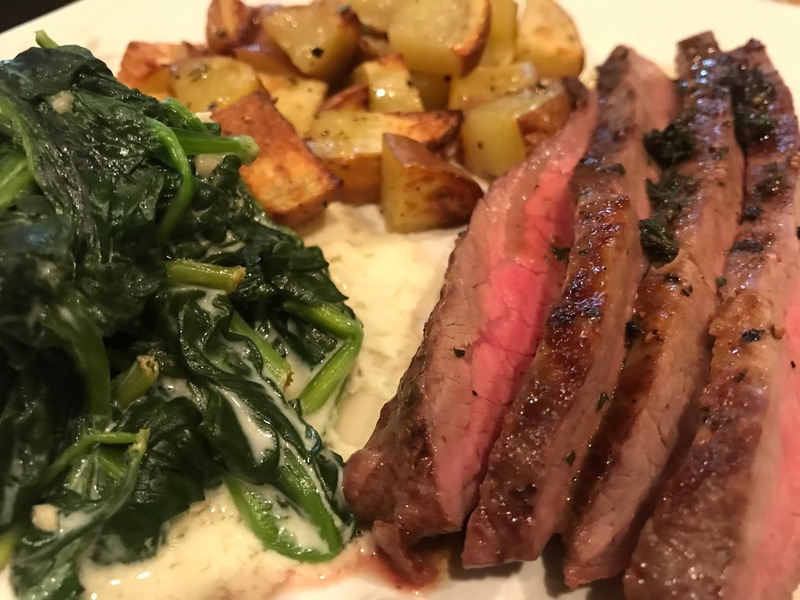 In today's post, I'll tell you about Marley Spoon because I think that their meal kits are perfect for a special Valentine's Day dinner together as a family. Let me share some examples of meals that we prepared together this week. 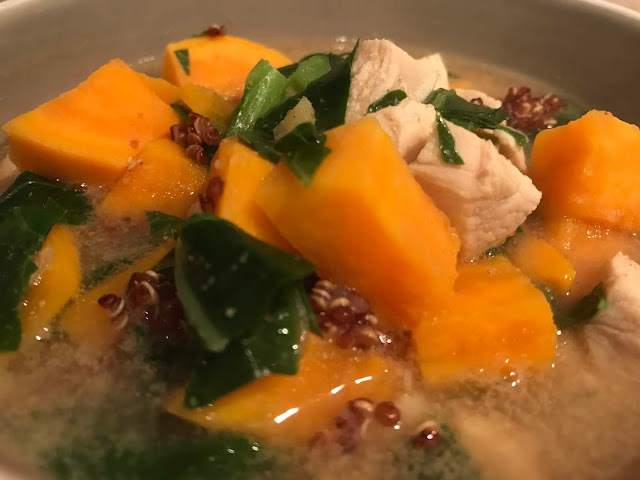 The first meal that we prepared this week was the Restorative Chicken Soup with Sweet Potato, Collards, & Quinoa. This meal was nice because it was easy to split tasks among family members and our dinner prep went by quickly. 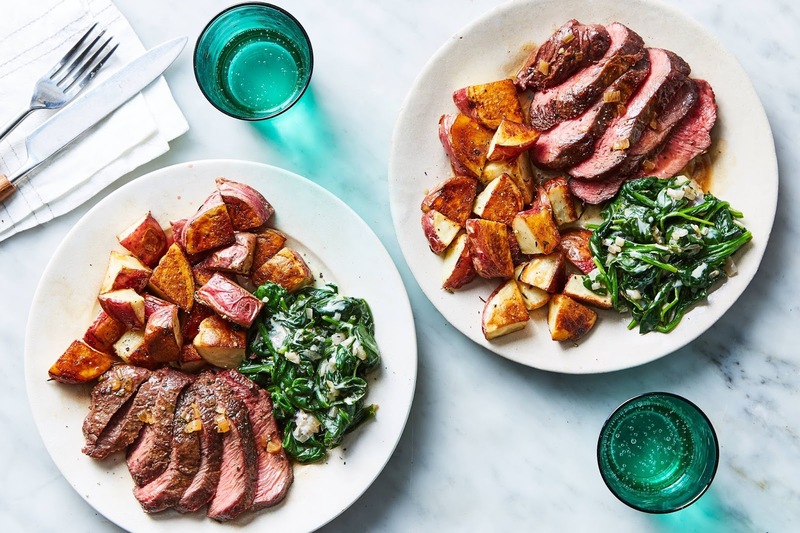 We love that this meal is packed with colorful nutrients! The second meal is the Seared Steak & Creamed Spinach. If you live in Texas, this is a must-have meal. Marley Spoon sources good quality ingredients, so when you combine the quality ingredients with a good recipe, the results are fantastic. Finally, we created the Chocolate Sandwich Cookies with Cream Cheese Filling. This is a fantastic dessert kit for families. My children (a preschooler and an 8-year old) love to help in the kitchen, so we had a lot of fun with this kit. Let me share a few photos. We baked three trays of cookies and allowed them to cool. 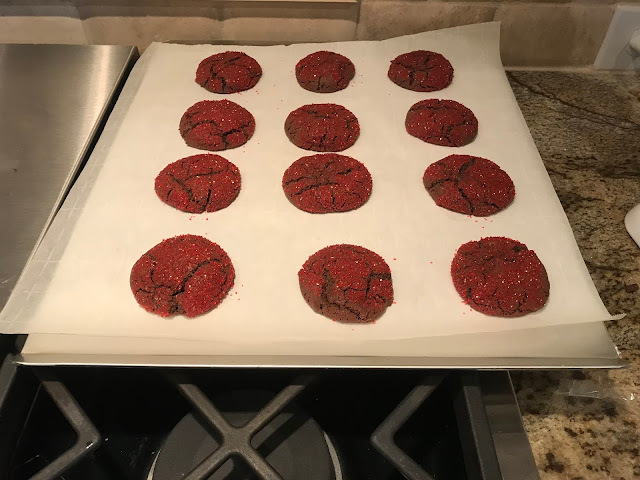 It was nice that the cookies only baked for 8 minutes because my children were anxious to see the results. 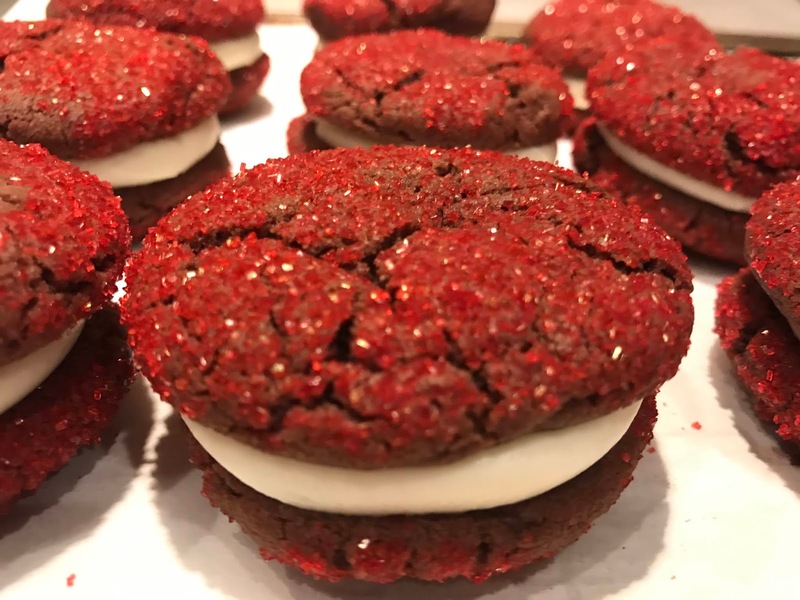 We allowed the cookies to cool and then added the filling. They were delicious! I obviously had to limit my children from eating too many which was a good problem to have. I didn't realize that we could all work together to create something so delicious. I hope that you enjoyed this peek into our kitchen and family life. If you haven't tried Marley Spoon yet, we definitely recommend it! Their recipes are great and they include high quality ingredients. As a mom, I love that they provide difficulty ratings for their recipes, including "easy" recipes that are family-friendly for us. It's also helpful that they pre-measure most of the ingredients since we have little hands helping us. The recipes that we tried this week were great because they made it easy to integrate my children into the meal preps. Check out Marley Spoon here.